Stuart McClure, co-founder of LoveTheSales.com, lets us in on his 14 years of business management experience and how his LoveTheSales is all the better for it. Starting your own business is tough. It takes a lot of hard work, effort and emotion, but most people understand that the rewards of doing so outweighs the toil of getting there. And that’s a good thing. It’s that spark of recognition that keeps you going when times are tough. I have been through that process myself at my startup, LovetheSales.com. And still am in many ways. You never stop learning or working hard! I’ve been luckily enough to get the opportunity to share some of my thoughts with you on the top 5 skills I think are paramount to successfully starting your own enterprise, large or small. Often these lists contain fairly useless ‘skills’ such as ‘Leadership’ or ‘Project Management’ – I am going to try to give you some practical suggestions that will help steer the way you look at yourself and your business, that drive success. Rather than a list of nonsensical suggestions. For me, drive is not about working 20 hours day and busting a gut – it’s about not accepting that something cannot be achieved. It’s about not listening to your own doubts and believing you will achieve success. No matter what you do, you will come up against significant hurdles and challenges and this will often lead to self-doubt, anxiety and stress. All of this is natural, but beatable. As the owner of a business, your mind will be busy all the time – worry, joy, anxiety, elation. This cliché rollercoaster is tough to ride, but the underlying tenacity and drive to succeed and knock down every barrier is what will get you through. Think about one of the essays you have written. I imagine there were some where you felt you wouldn’t do a great job because you didn’t know enough, or some that you scraped in because you didn’t start working on it earlier enough. If you had a stronger belief that it wasn’t an impossible task, would you have done a better job? If you had a little more drive, would you have started earlier and handed it in with plenty of time? Tenacity and drive comes naturally to some, but not to others. A practical tip for developing your ability to work around any problem and stay driven is to consider ‘Mindfulness’. This is a technique that helps you free your mind from doubtful thought and develop a stronger focus on the problems at hand. Telling you more about the basics alone would be a whole article, so I’ll leave it to you to investigate. Rest assured though, it is a very beneficial practice for entrepreneurs and is something used by some of the most iconic business leaders in the world. Whilst tenacity and drive are essential, it is important not to lose sight of your own abilities. Forming a sense of what you are good at, and what you are not good at is very helpful as you grow your business. At the beginning you’ll need to be a jack of all trades – that’s important because it’s all the resource you’ll have. As your company develops, you’ll find things you don’t know enough about and so you’ll call in favours or speak to people to learn more. As you continue your company will need people devoted to specific tasks as your time simply won’t be enough. At this point, you need to be self-aware enough to say ‘I’m not the best person for this specific function’. You’ll start to bring in the right skills to complement your own abilities. And as you start to hire, humility is essential. Everyone has had a boss or friend who thinks they’re bigger and better than everyone, or has the ‘that’s not my job’ attitude. And, to be blunt, they’re annoying. Make sure you have enough humility to listen to everyone before you make a decision. Never assume you know it all, and always hire people who are better than you at whatever role you are trying to fill. Most people have a huge obstacle in their way that they are not even aware of – bias. Your own personal biases will massively affect the way you make decisions on everything. And while this might not be an issue for you day-to-day, it can cause a problem for your business. Bias determines your decision-making, so one thing I try very hard to do is look at everything pragmatically. I aim to collect data (regardless of how positive or negative it is), and use that data to determine the decision of anything I work on. It sounds easy, but I promise you it is not. A common issue is ‘availability bias’ – relying on the information that is most readily available. Think about lottery tickets. If you considered the true likelihood of winning, you’ll never buy one again. Your odds are 1 in 14,000,000. You are more likely to be eaten by a shark. Yet, when someone wins a big rollover of millions, everyone runs out to buy a ticket. The most available piece of information here is that you could win lots of money, so it affects your decision-making. Anyone thinking of starting a business should learn more about bias and the psychology of decision-making. I recommend reading a book called ‘Thinking Fast and Slow’ by Daniel Kahneman (a Nobel Prize winning Psychologist). Once you have done that, my next tip is to learn as much as possible about data and statistical analysis. Most online businesses like mine rely on free tools like ‘Google Analytics’ and ‘Google Search Console’. Getting a head start on how to use these data analysis tools will make it a lot easier to make decisions for your business without as little bias as possible. For more on data and statistics, I highly recommend a blog called Occam’s Razor by Avinash Kaushik (an ex-Google genius). One of the biggest challenges to starting a business is the amount of work you need to do. It will feel endless, and it is very normal to try to do everything. Unfortunately, this will be counter productive. It is paramount to focus on the most important goals of what you are trying to achieve and make sure you have the right amount of resource to achieve it. We use a process called ‘Agile’ to plan our work on a weekly basis. It is a framework of techniques that allows you to work through priorities of work, assigning them to relevant people in your team and monitoring their progress. It enables us to apply the right focus to the right parts of the business. Every Monday morning we have a planning session – we spend one to two hours determining the most important work we need to complete by the end of the week. We then break this down into tasks and assign them to various people in the team, paying close attention to how long we think each will take. Then, each day we get together for five minutes every morning and quickly update each other on progress – what did yesterday done, what we are doing today day and what we are stuck on. By the end of the week, we’ll have everything done. Carefully determining what tasks are the most important to focus on, then planning what you will do and when, is crucial to getting the most out of your time. Without it you will likely spread yourself too thinly – you’ll get started on lots of things, but never finish them to their full requirement. There are a couple of great, free tools out there you can use to plan and keep tabs on all the work you need to do. I would suggest learning about – Trello and Asana. My last skill is honesty – this should run through everything. It relates to so much of what you do, but is most important in the more negative parts of running a business. It’s easy to work on a task or campaign, only for it to flop. Be honest about that – it went badly. If you fool yourself or your team into thinking it was better than it was, bad decisions will come as a result. If someone isn’t working as well as they could, but you don’t want to say something because you’ll upset them, it won’t help them. Be honest and find a way to help them improve. If you are flogging a dead horse, be honest. There’s no point continuing with a work process or an idea that simply doesn’t work. Becoming an entrepreneur is basically choosing a life of constant learning. However, different people will have different elements of the five skills I’ve laid out. My hope is that this article will help you to reflect on your own skills, figure out which ones you naturally have and then go on to develop any of the above you think you need to work on. Essentially the advice I have offered in this post is related to you and your own personal development. The way you work. The way you think. The way you behave. Ultimately, your business will succeed based on the way you run it. I hope that this insight into an entrepreneurial career path will help you to be pragmatic, sensible and unemotional about your decisions. In all, it encapsulates what I think are the most important parts of leading effectively. Research the market – once you have an idea of what you want to do, don’t dive into it blindly. Research your idea and the market it relates to. Do people need it? Does someone already do it? What could you do better? Think about money – how will you fund and grow your business? Will it happen organically, with you putting each pound you make back into it? Do you need a big pile of cash to start? If so, investor or bank loan? Put together a rough plan of what you will spend and what you will earn to get a feel for how money will move through your business. Marketing – customers, of course, are essential. You need a clear blueprint in your head of who your target customer is. If you are not solving a problem for a specific type of person, then your business won’t grow. The more you know about the customer you want to market to, the better – where they hang out online, their likes and dislikes and so on. This will help you funnel your marketing efforts to the channels that best suit your target customer. You can have the best business idea in the world, but if nobody knows about it, it’s dead in the water. How will you tell the world about your great idea? Social Media is powerful in some cases, but don’t think it is the be all and end all. You’ll need to think about a website. Emailing people whose addresses you have gathered. Maybe printing leaflets and so on. Research businesses like yours, see what they have done, and what worked for them. Take ideas from that and start to formulate a plan of how you will take on the world. Stuart McClure is the co-founder of a company called LovetheSales.com – a website that aggregates sale items from 100’s of retailers into one website, helping consumers to find the best deals on products they want. 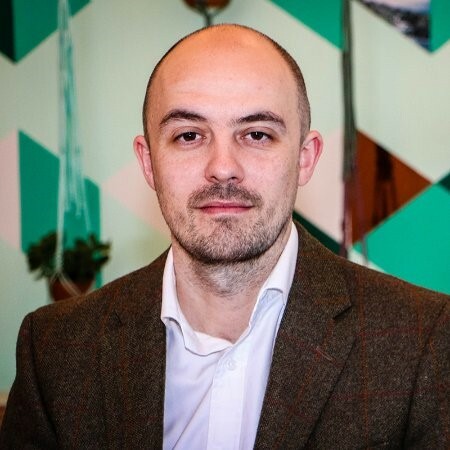 He has 14 years experience in digital marketing and business management and, before starting his company, worked in a number of multi-million pound businesses in senior positions.